Protects to classes 1, 2 and 3A. 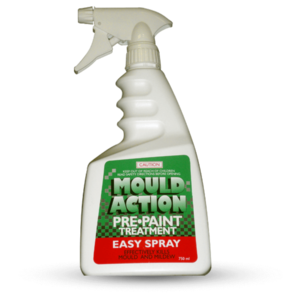 Surfaces must be clean, dry and free of dirt, grease, grime and previous coatings. After cleaning, allow wood to dry 2-3 good drying days or until it has reached a moisture content of 18% or less before applying Sanixyl. Sanixyl may only be applied to bare wood surfaces. ALL other finishes must be completely and thoroughly removed. All wood weakened by infestation should be cut out and repaired using a suitable wood repair system or a new piece of wood fitted. All cut out sections should be treated prior to being repaired. All new spliced in pieces of wood should be treated prior to fixing. If necessary sand surface after cleaning and/or stripping (100 grit paper). Sand surface with 100 grit paper to improve penetration. Dust off. 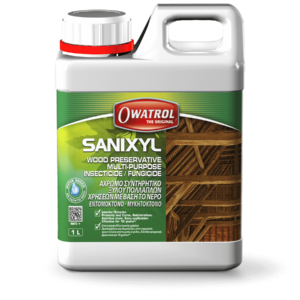 Wood that has weathered longer than 6 months or turned grey should be cleaned with Net-Trol to remove all loose wood fibres, dirt and other surface contaminants before applying Sanixyl. Interior: Contact our technical department for information and advice. 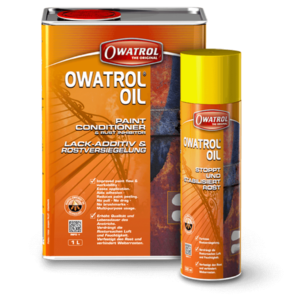 Exterior: All oils or sealers must be completely and thoroughly removed with Aquanett and the stripped surface neutralised with Net-Trol before applying Sanixyl. Exterior: All previous coatings must be completely and thoroughly removed with Dilunett and the stripped surface neutralised with Net-Trol before applying Sanixyl. Contact our technical department for information and advice. 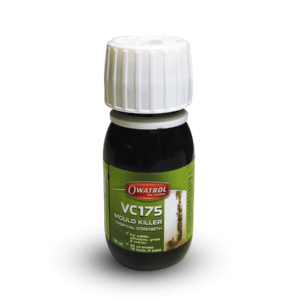 Wood in good conditions: apply liberal application until wood is saturated or apply by garden sprayer. Ensure all end grains are well saturated. 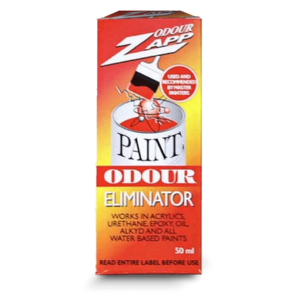 Infected wood in sound condition: areas that have been weakened by infestation should be cut out and repaired using a suitable wood repair system or a new piece of wood fitted. 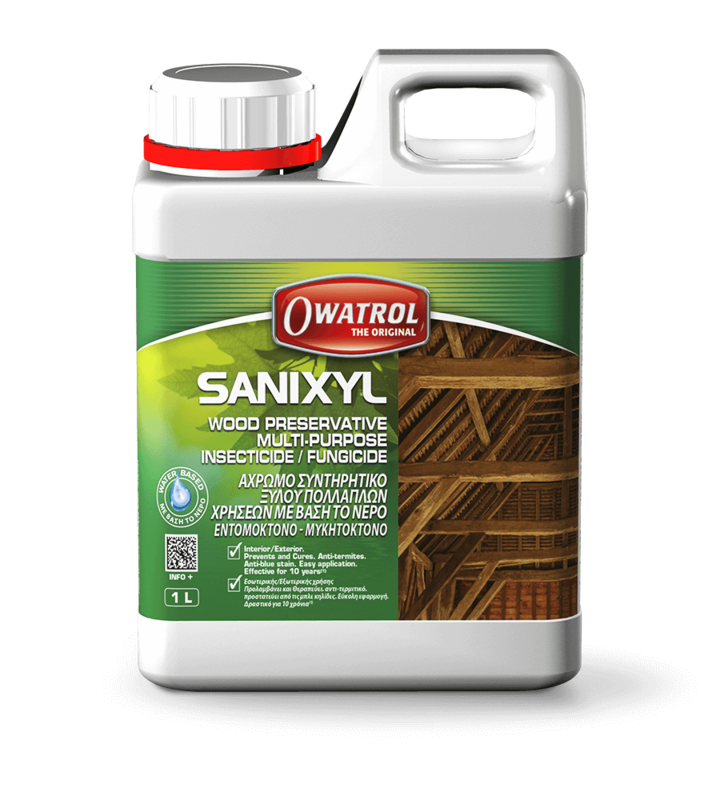 Liberally apply Sanixyl until wood is saturated including end grain. Severely infected wood: drill every 20 cms for large sections and 40 cms for small sections and inject Sanixyl. Follow with liberal application over entire surface. Clean tools thoroughly and immediately after application. Coverage: Preventative: 5 m² per litre. Curative: 3 m² per litre. Application tools: Brush. Garden Sprayer. Pressure injection. Dipping. Application temperature: Between 10°C and 35°C.